The Dollar/Yen continued to post gains yesterday as investors are still looking optimistic towards the Greenback after Friday’s NFP report. The market is speaking to the FED and it is telling them to continue raising rates, so the question is: will the FED listen? It remains to be seen. In economic news, investors will mainly focus on the US ISM Non-Manufacturing PMI which is set to be released later in the afternoon. 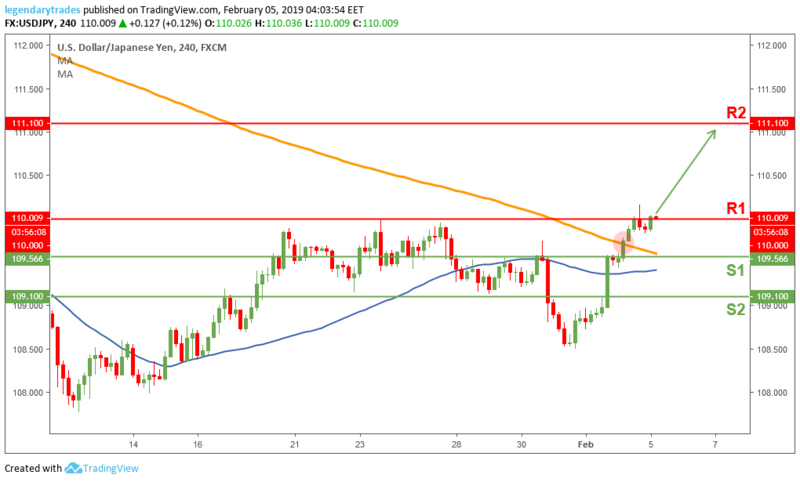 The Dollar/Yen broke strongly above the 200-day moving average (orange line) which led price to retest a major resistance level 110 (2019 high). If the bulls could successfully break above this level, then prices could possibly be heading towards 111.10 next. However, if prices couldn’t break above 110, then a possible retracement towards 109.50-60 (S1 and 200-day moving average) will be likely.